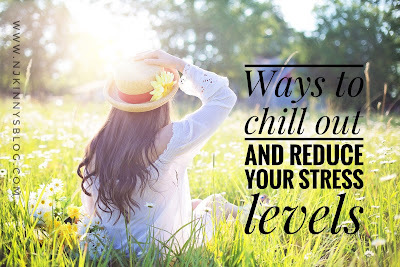 Learn how to chill out and reduce your stress levels, if this is effectively done, you will see that your nerves will be calmed down. Expert nutritionists and health experts have repeatedly suggested that to chill out, you really need to engage in some effective weight loss plans. A few minutes of daily meditation will help in calming your nerves and anxiety. No matter how busy you become in your workplace or life activities, find great time to meditate. This could be inside your office or at home. Meditation gives peace of mind, improve concentration and ease anxiety. Whenever you meditate, you must reap bountiful dividends- that is one of the beauty of engaging in meditation. It doesn’t take much time; you will start reaping the benefits of meditation. To a great extent meditation relieves depression, stress etc. When you are weighed down by the burden of the day, all you need to do is to find a cool place to relax, relieve your minds of worries, and within a short time, all your anxieties will begin to disappear. It is healthy to take green tea with a mix of herbal supplement, instead of taking purple with rage. If you want to only chill out, you can sip green tea and take some nap. But if you are at your workplace, and you are already having a stressful day, all you need to do is simply to sip a green tea and probably be reading an interesting book or watching your favorite television programme. There are many medicinal reasons why you should take green tea, it helps to relieve anger. The process of preparing green tea is very simple; all you need to do is to boil water, put the green tea inside it, and take a soothing sip. If you are stressed, find some time to hang out with friends to munch a crunchy snack. This is one of the best ways to relax. By all standards of evaluation and analysis, devoting some time for an exercise is good for your health. It refreshes your body and gives you ultimate peace of mind. If you are having a stressful day, stand up for a quick stretch and you will feel better. This will help you to relax if you are having a stressful time, and also enable you to relieve muscle tension. Some health analysts have confirmed that trying out a chest-opening and shoulder roll-out could be of immense help. This is very important especially if you are having serious problem with concentration or if you are overwhelmed with workloads in your office or at home. Taking a quick walk in nature offers you the privilege of enjoying some alone time, reflecting about your life and other necessary physical activities. You can never go wrong by engaging in a good belly laugh periodically. When you are wearied down, simply take some time to laugh, it will lighten the burden, boosts your brain power, lowers your body’s stress hormone, and cortisol. When you are stressed or having a stressful time, find someone that believes in you, someone that makes you to laugh, someone that is happy with you, and engage with the person. Staying with happy people could be highly therapeutic, it has a way of making you relax and enjoy life to the fullest. Laughter has been adjudged as one of the best ways of beating or relieving yourself from stressful situations. It boosts your immunity level, increases your blood flow. Another thing you can do is by keeping a comic book around you or book of jokes or watch comic videos or check out for hilarious YouTube videos, and watch them when you are filled with sadness or undergoing a stressful time. No matter how busy you are at work or the deadlines you have to beat, you must find some time to balance between rest and activity. Do anything that makes you happy, it could be taking some time off from work, and start browsing on the internet about some exciting vacation destinations. Or browsing online bookstores looking out for the latest published books on subjects of your interest. The keyword here is to do something that interests you. Was this article helpful to you? Feel free to share your exciting experiences in the comment box below; we will be happy to go through them!